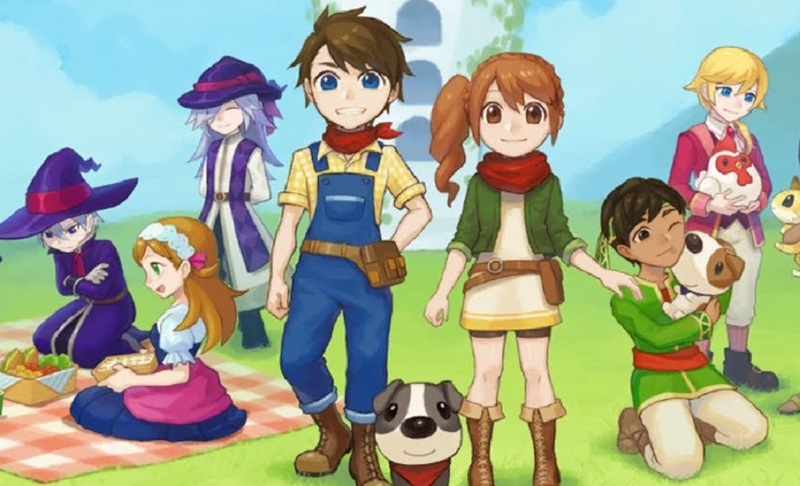 Publisher Rising Star Games have announced that cutesy farming sim Harvest Moon: Light of Hope will be coming to Europe on PS4 and Nintendo Switch in June, . Using that interminable "Save the Date" motif, a tweet from the company announces that the latest edition in the (very) long-running horticultural saga will be available digitally and in stores from June 22. Originally, the game had been given a May release window for both the U.S. and Europe, so whether this slight delay affects both territories is unclear. Light of Hope released on PC in Fall 2017 were it was celebrated by its faithful fanbase. In keeping with previous titles, the game sees the player managing a successful farm, from the growing and selling of produce to rearing livestock. Budding farmers will even fend off destruction from predators and terrible weather, and build rapport and relationships with the local townsfolk.